Join the RTW crew for a grand and successful experiment! As faithful listeners probably know, we don’t think too highly of 2002’s Star Trek: Nemesis. But even though we’re mainly a DS9 podcast, we’ve committed ourselves to checking EVERY Trek, and Nemesis is no exception, so we thought we’d get it over with in the fastest, laziest way possible: an audio commentary! In a RTW rarity, Sam, Kevin, and Jack are all in the same room, drinking a case of Tecate and talking over a movie they hate, so full of themselves that they’re deluded into thinking anyone in the world would enjoy listening to this. That’s where YOU come in: PROVE THEM RIGHT! 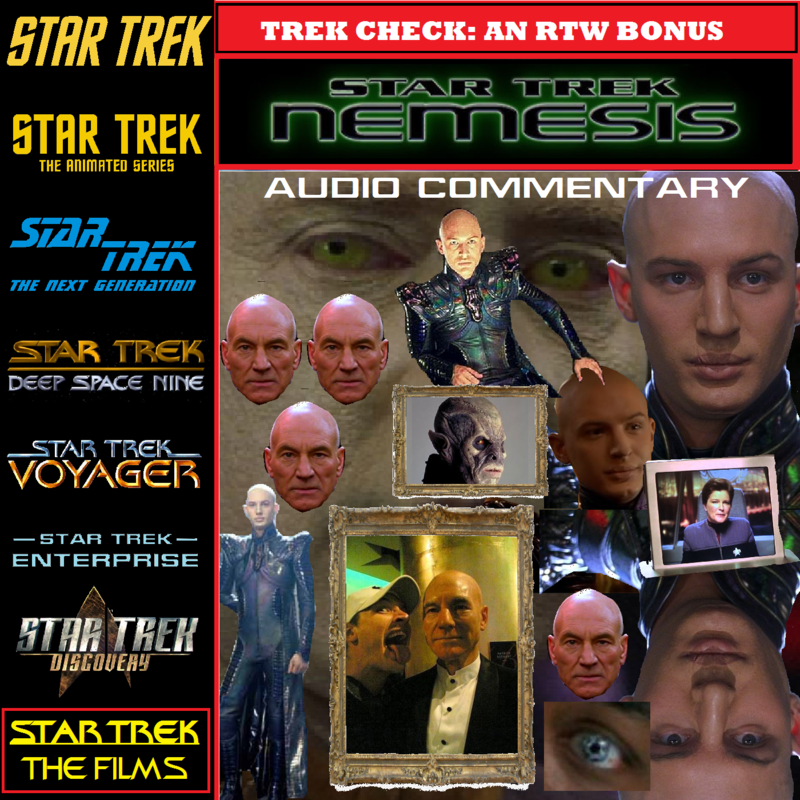 Although it might be weirdly entertaining to listen to on its own, this is an audio commentary meant to enhance your Star Trek: Nemesis viewing experience, so throw on Nemesis and pause it on the Paramount Pictures 90th Anniversary screen. We’ll tell you in the recording when to press play! Torpedoes away! Get Hardy!